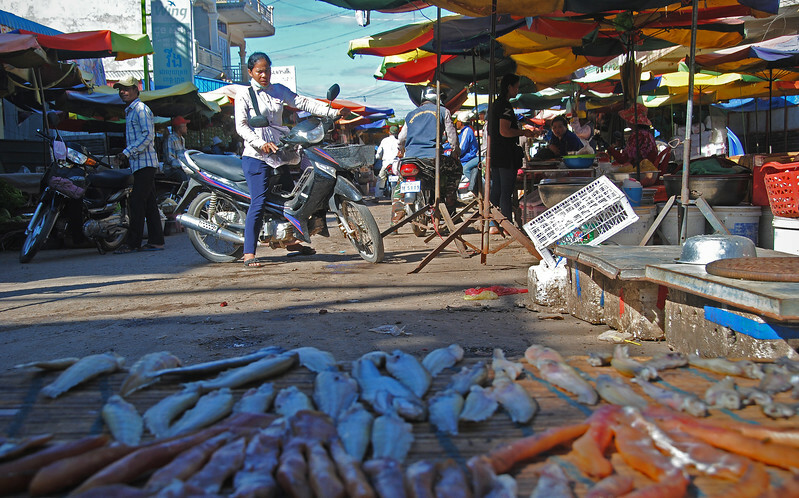 We wheel into the bustling city of Battambang feeling weary, dirty and exhausted. Did I mention we were tired as well? 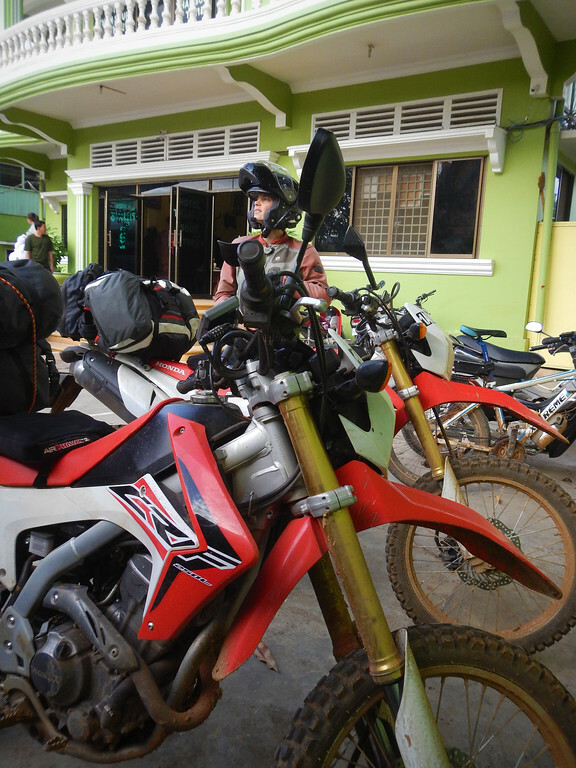 It's been a hectic ride through Cambodia, but we made it! 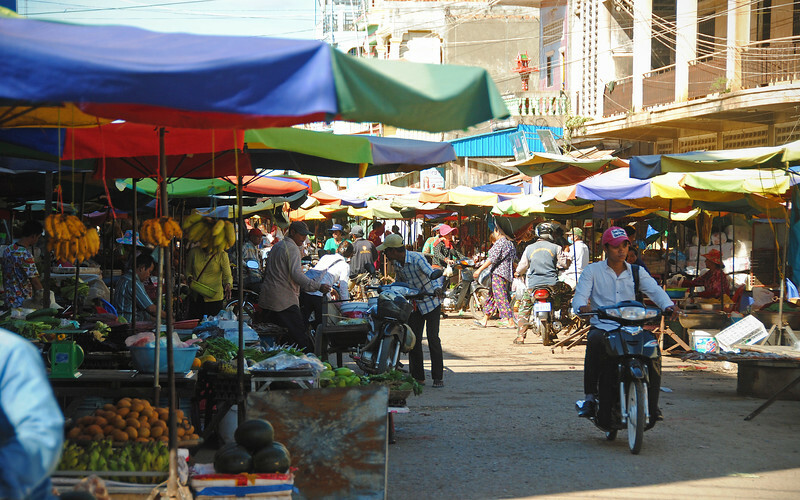 Battambang is the second-largest city in Cambodia, but it doesn't have nearly the same amount of traffic and congestion. We like that. We found a stall that served some fluffy crepes with bean sprouts, chicken and vegetables stuffed inside. 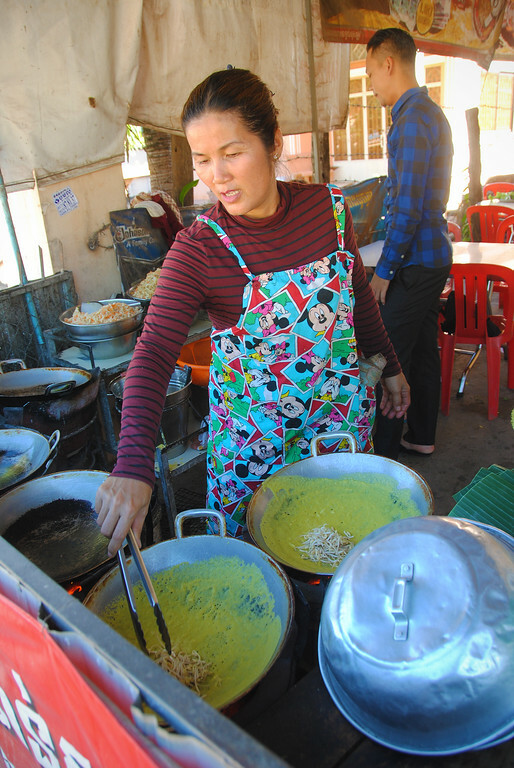 Although her English wasn't that good, the woman cooking was cracking jokes and making us LOL! Her English was much better than our Khmer, and it goes to show you don't need to master a language to have your good humour show! 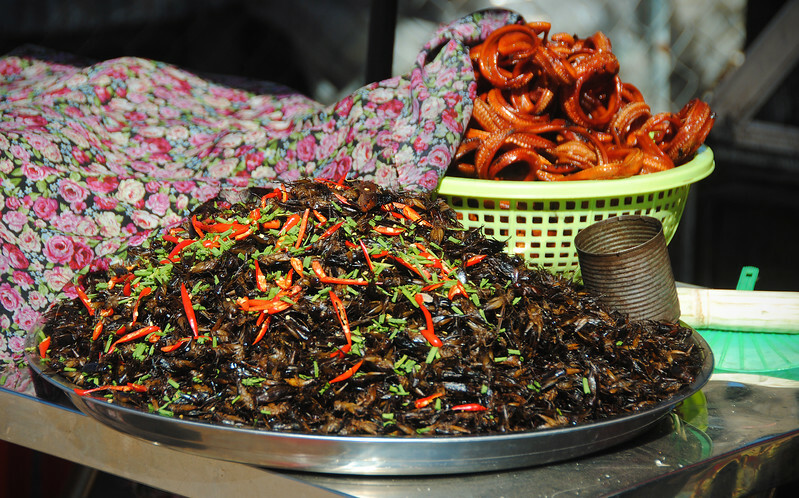 Great food too! Neda found a cross-stitching friend in the market! We spent one night in the hotel on the busy main street. 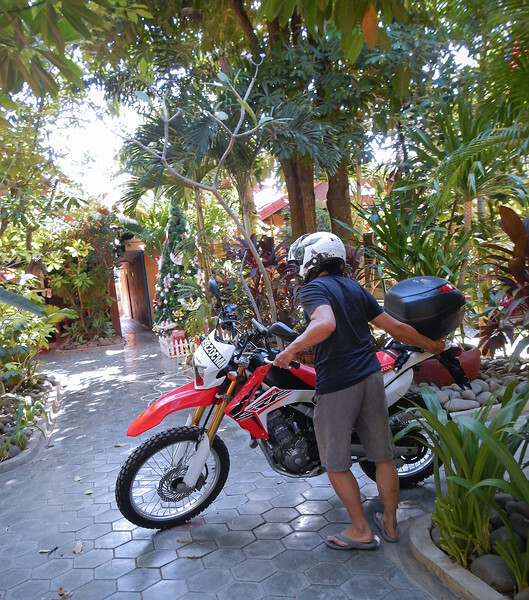 With a couple of days left on our motorcycle export papers, we went out in search of a nicer place to stay. Look what we found! It has a pool! 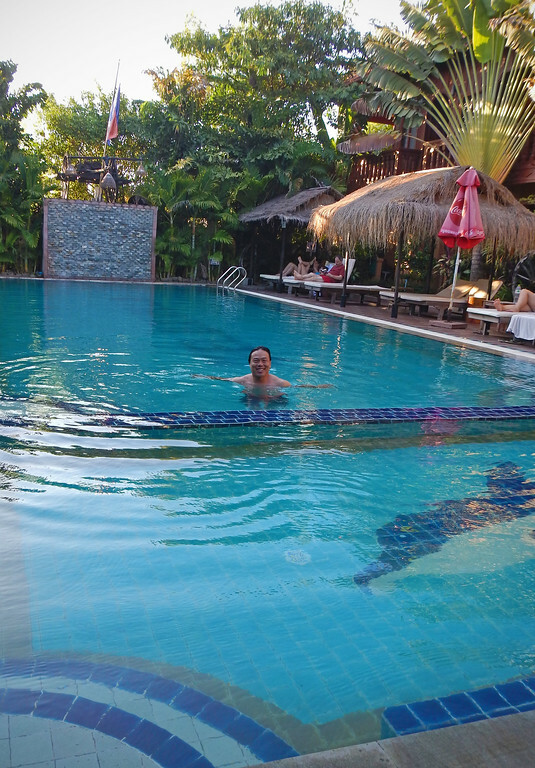 We found another place a bit further from the centre of town, it was like a resort! Perfect, tranquil setting! 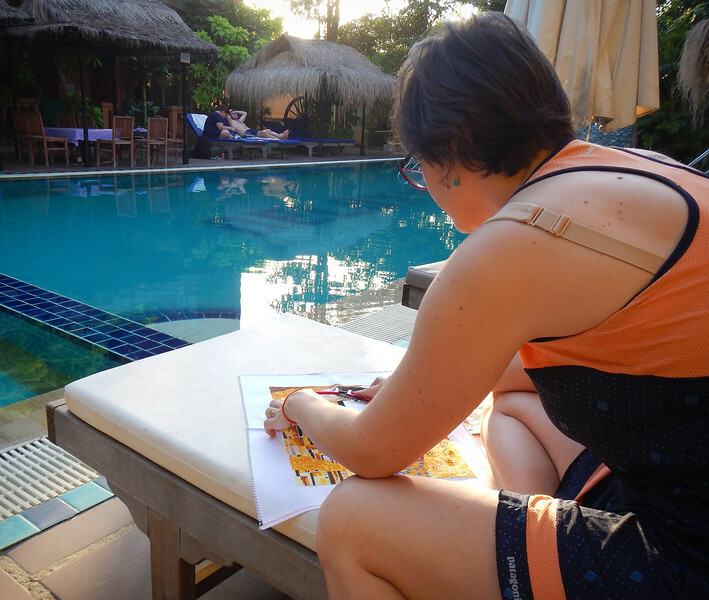 Neda gets a chance to work on her cross-stitching. It looks like she's almost done! 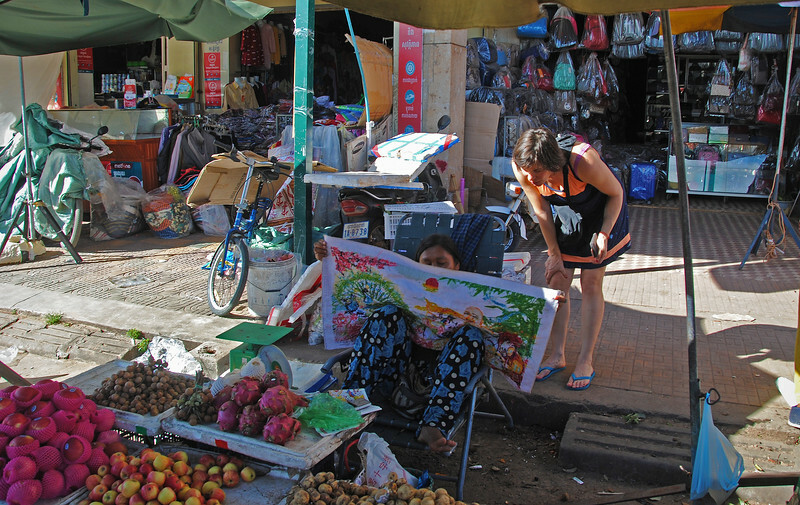 There are very few tourists walking around Battambang. It doesn't have the cosmopolitan appeal of Phnom Penh, nor the pull of the magnificent temples in Siem Reap, and it doesn't have the beaches that the sun-seeking Barangoes flock to in Sihanoukville. We like that a lot! On the menu we saw "Happy Pizza" and "Happy Milkshakes". What makes it so "happy", you may ask? Although marijuana is technically illegal in Cannabodia, it seems to be tolerated and there are some restaurants and bars that spike their food and drinks with pot. Then they label it "Happy" and the authorities turn a blind eye to it. That's pretty dope. 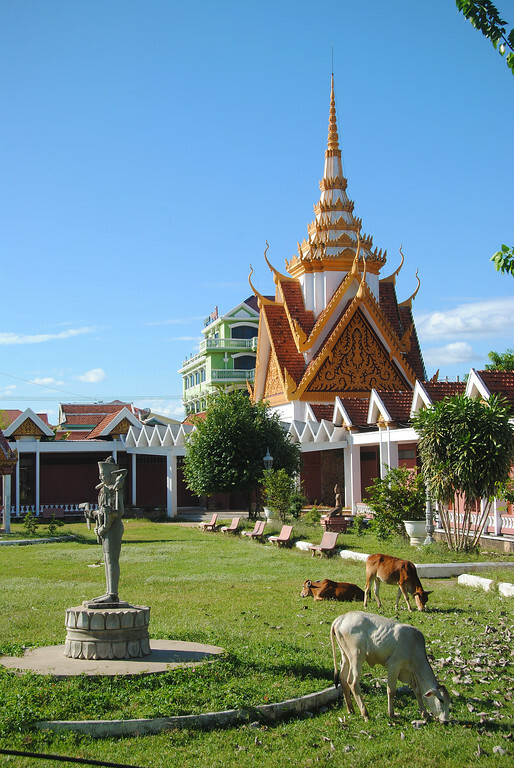 Besides getting stoned, there little draw for tourists to do in Battambang. 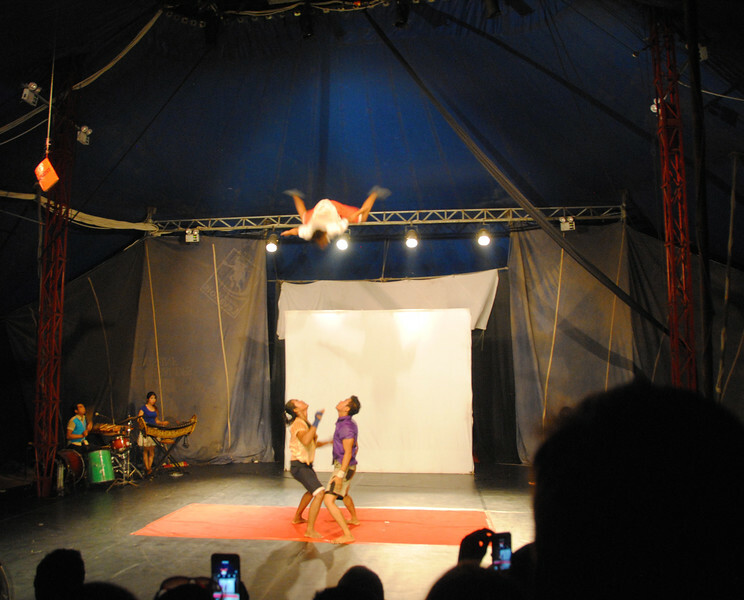 The biggest attraction is Phare Ponleu Selpak, the Cambodian circus! We sneak backstage to watch the young performers train before the big show. Phare Ponleu Selpak is more than a circus. 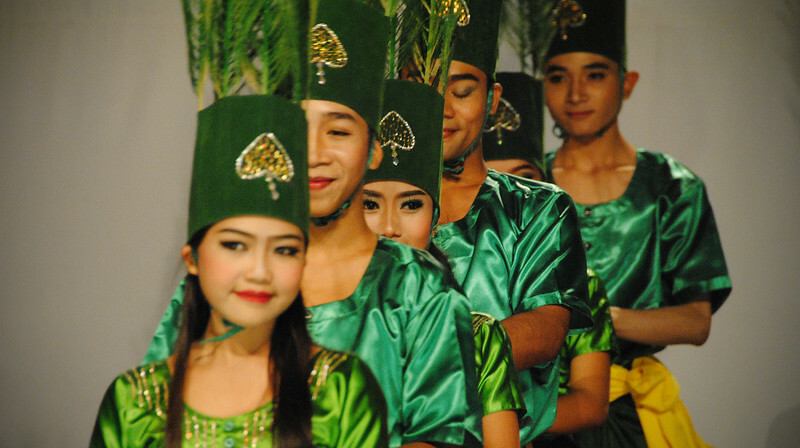 It had its roots in the aftermath of the Khmer Rouge genocide, which decimated the adult population of Cambodia. In 1986, a French humanitarian worker came to work with the kids left behind in the refugee camps. One of her approaches was art therapy, allowing the children to express their trauma through drawing. 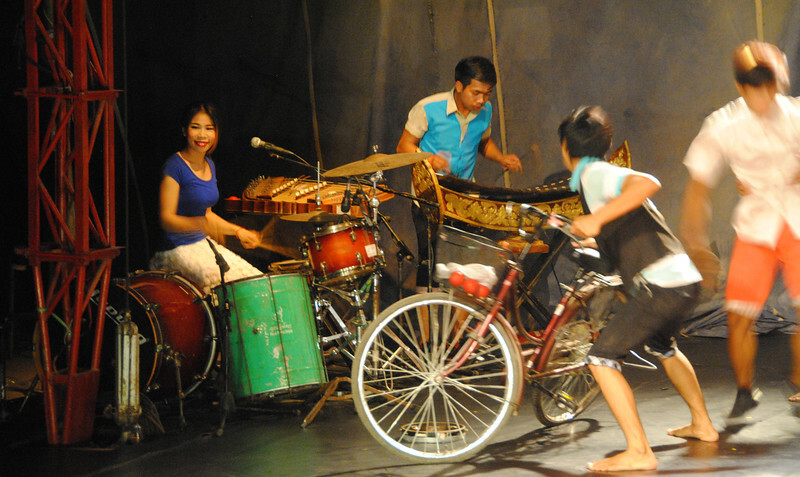 That small group of kids grew up and eventually went on to found an arts centre here in Battambang. 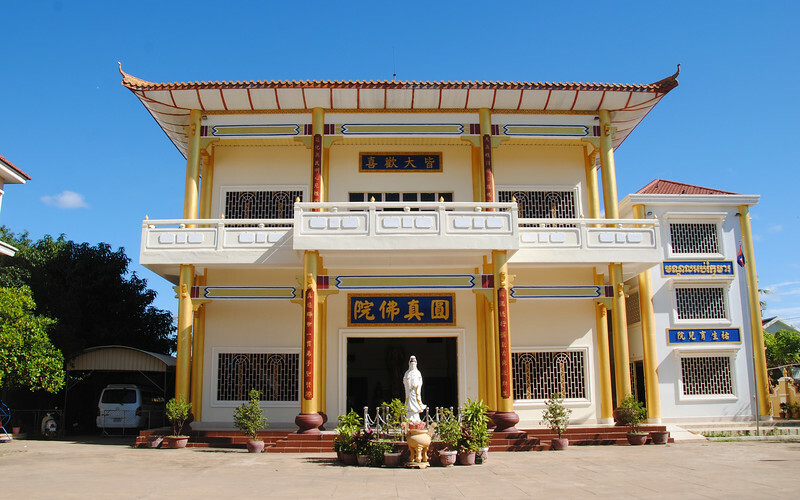 In 1996, a music program was added. 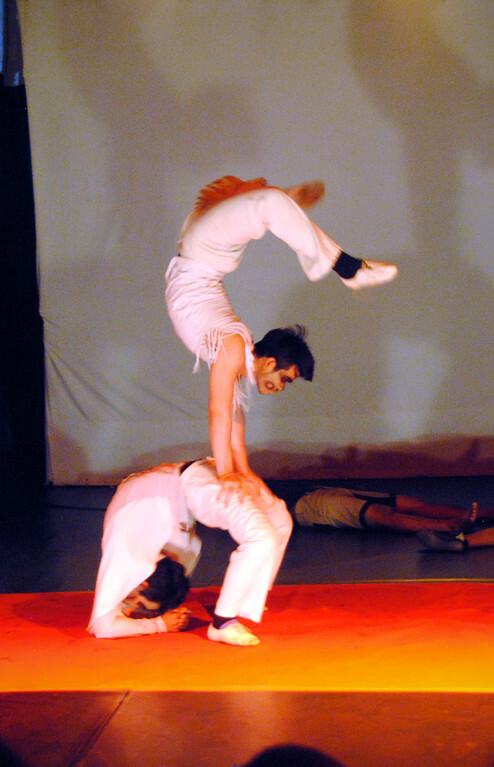 In 1998, a circus was added and it has grown in leaps and bounds (pun intended) since then. 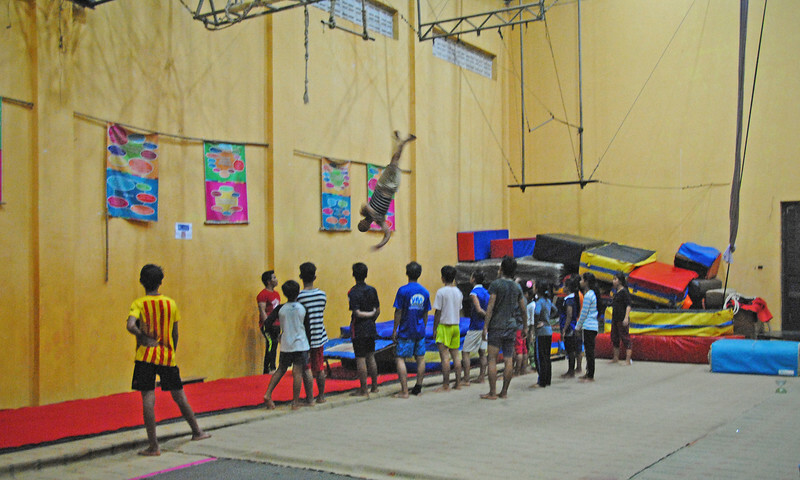 Graduates from the circus program eventually go on to perform around the world, ending up in world-class troupes like the Cirque du Soleil, and then often returning to give their time back and teaching the next generation of kids at Phare Ponleu Selpak. And then the circus begins! After what this country has been through, watching these kids fly through the air, I felt a bit proud to be supporting them in some way. Our admission fee and donations from sponsors allow 1,400 students a year to receive free schooling and basic education, plus the ability to attend any of the arts, music and performance classes. Some music, some slap-stick comedy, very entertaining! And then more eye-popping aerial gymnastics! 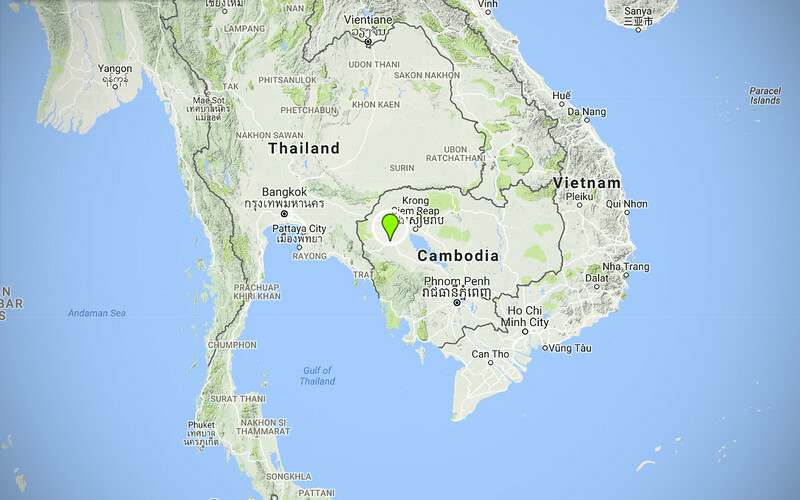 Tomorrow we leave Cambodia and re-enter Thailand. Then one final push and we'll be in Chiang Mai. Although we're really looking forward to the long, extended break, we're also a bit sad that we're leaving this beautiful country. Something about it really resonated with us. It had just the right amount of exotic appeal and adventure, it was friendly and inviting, but most of all, it seemed undiscovered and under-the-radar - due in part to the complications in overlanding across the border. And we also enjoyed the pace! Over the last few years, we've either felt too rushed or too slow. The perfect pace seems so elusive. 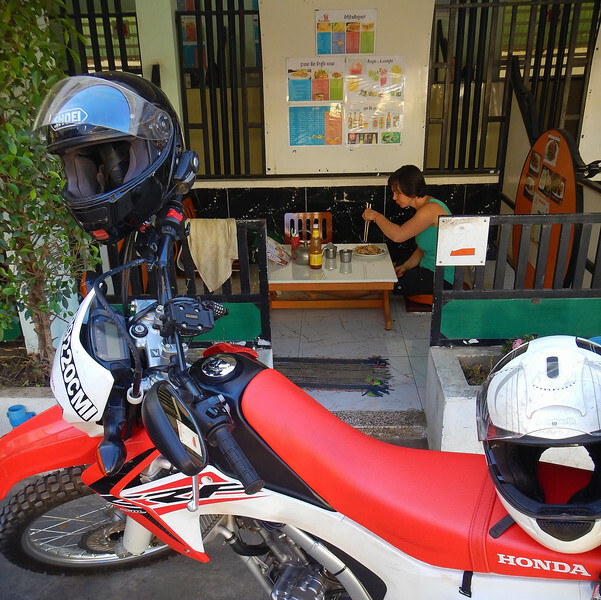 And despite our initial misgivings about only being given 14 days to see this country, it was actually the perfect amount of time for us, just enough calendar room to give us a goal to ride towards, but not short enough to make us feel rushed. Thank you, Thai customs people!